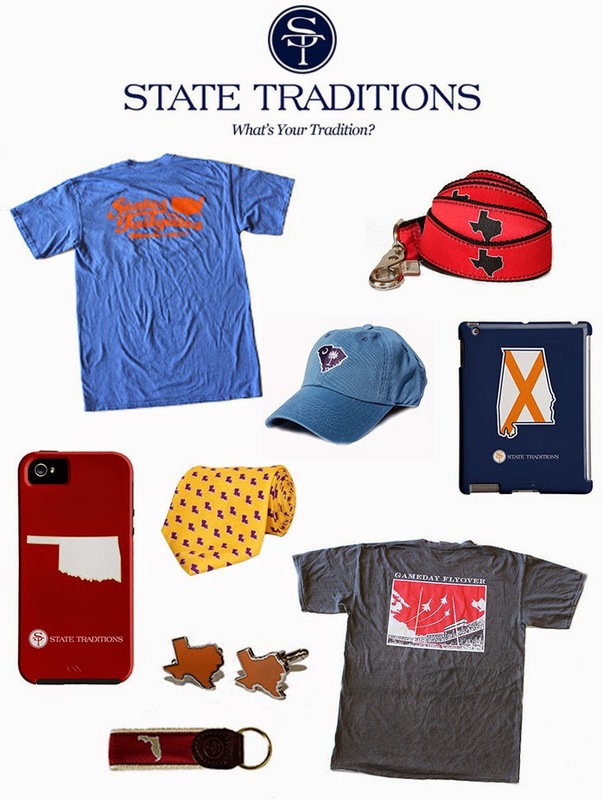 State Traditions has a unique piece of the gameday market. They sell apparel, housewares and products that feature a prominent State outline with different school colors. Though their products do not have team logos associated with various schools, there will be no doubt who your allegiance is with. For example, if you are an University of Florida fan, there are numerous orange and blue products which feature the State of Florida outline. I'm sure you all get the gist. It's a pretty savvy way to get around licensing. I like the understated nature of their products. I like that you can support your home State or your team without being blatant about it. They make it very easy to shop too, just click on your State and the plethora of items comes up. Nice stuff! Love the Oklahoma phone case, could be a good bday present for my bf! Thanks! I always think about you two when I post cool OK items.